Job Opportunity at Sew L.A.! Come and work with us! We are looking for a full time sales person who would be interested in training to be the store manager within a few months of hiring. Here's the ad we are placing tomorrow - all of our own peeps get the jump! Please, no phone calls or stopping in about this position - email us at classes@Sew-LA.com with all the info listed below and we'll contact you for an interview if the fit looks right. 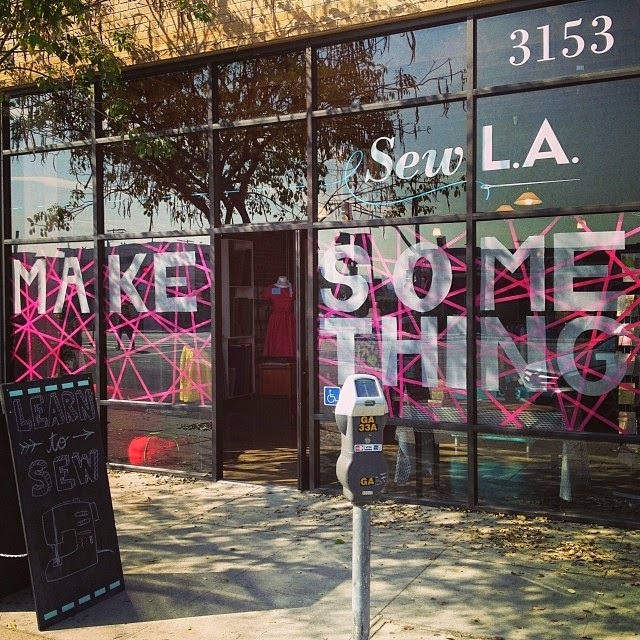 Sew L.A. is a boutique fabric shop and sewing classroom in Atwater Village, and we are looking for an experienced salesperson to join our team. Applicant must have experience sewing from commercial garment patterns to be considered for this position. This is a full time position starting at $12 per hour for training and sales, with the strong potential to segue into a salaried manager position within 2-3 months of hiring. We are looking for just the right person to help run the retail shop!